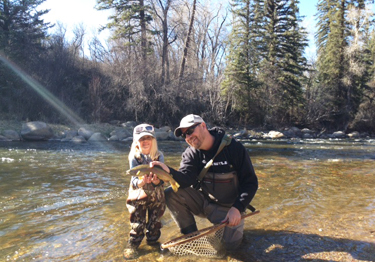 We love taking kids fly fishing and have several options for the little ones. We also have access to a farm pond located in Old Snowmass. The pond is stocked with rainbow, cutthroat and brook trout. We can use spinning gear at this location so this is a great trip for the little ones under 10 years old. We have a limited number of days at the property so please feel free to call or email for availability and pricing.